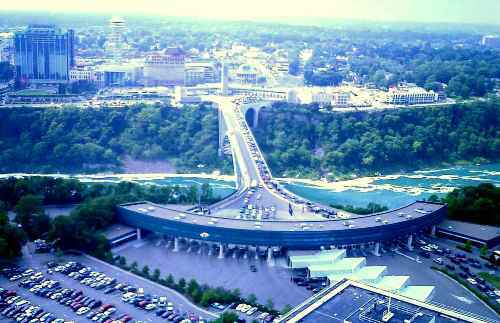 If you want to visit Niagara Falls, you can go to the border of New York, US and Ontario, Canada. 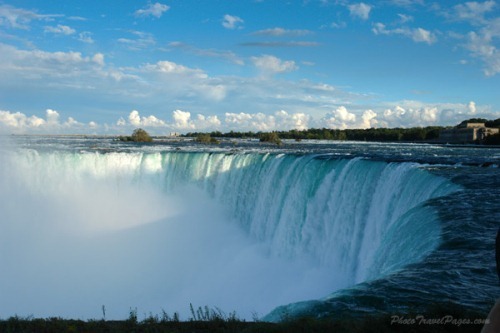 The waterfalls consist of the Bridal Veil Falls, the American Falls and Horseshoe Falls. As I have stated before that Niagara Falls are made from three waterfalls. The smallest one is Bridal Veil Falls. The biggest one is the Horseshoe Falls. 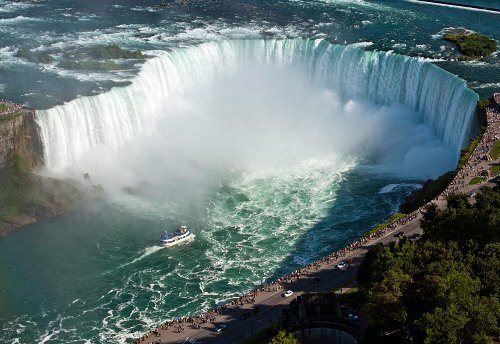 Niagara falls are considered as the high flow rate in the world. The large vertical drop of Niagara Falls is estimated about 50 meters or 165 feet. The waterfalls are beneficial to the life of human being. They can produce the big amount of energy since they are the big source of hydropower system. It is stated that the highest waterfalls were formed 10000 years ago because of the glacier activity. The scientists estimate that the waterfall will be disappearing in 50000 years based of the erosion. Niagara River gets the water from Lake Erie. You can see Niagara Falls from the top in a safe place. It is illegal for the people to go over the waterfall. It is too dangerous because you can die. There are many visitors coming to Niagara Falls during the summer time. The official will operate the hydroelectric stations to divert less water. It makes sure that the visitors are served with amazing view on the water flow. It is a silly thing to go over the Niagara Falls. Some people have tried. They dead, injured or survived. It is better for you not to do the same thing if you still want to live well. Nikk Wallenda is a very brave man. When he was 116 years old, he crossed a Negara falls using a tightrope in 2012. He could grand the action since the US and Canadian governments had given him a permission to do it. The first tightrope walker in Niagara Falls crossed this water flow in 1859. 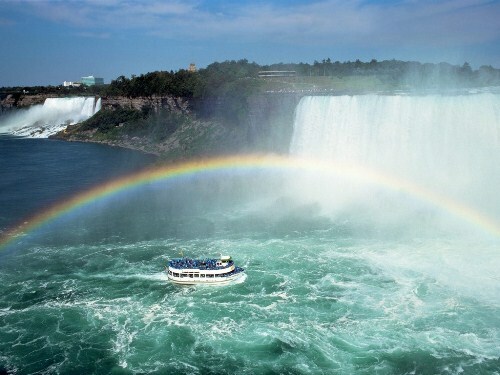 Niagara falls are a popular attraction in US and Canada. Each year people visit Niagara Falls to enjoy the beautiful water flow. More than 30 million people visit it each year. Between the Bridal Veil Falls and Horseshoes Falls, it sits a Goat Island. Nikola Tesla is famous because of his hydro-electric plant. This Serbian American man has a monument located on the Goat Island. In this tourism object, you can also enjoy the Niagara Falls State Park. 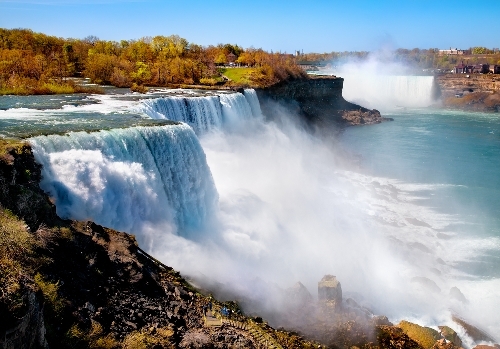 Are you impressed with facts about Niagara Falls?